Once you have downloaded and installed mIRC, you need to go through a few steps to setup and configure the program. If you are a MAC user, you need to use Ircle for your IRC activities. Check here for information when using Ircle at CSUN. It may be slightly different if you are running an earlier version. There will also be some slight differences between the 32-bit version for Windows 95/98 and the 16-bit version for Windows 3.1. Notice the menu items and icons across the top. To make it easier for your each time you use mIRC, you can configure the program to be more user friendly. 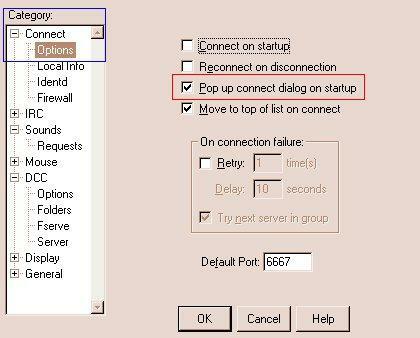 Enable the option to Pop up connect dialog on startup. This will have the connect dialog box that you just viewed appear when you join the CSUN server. 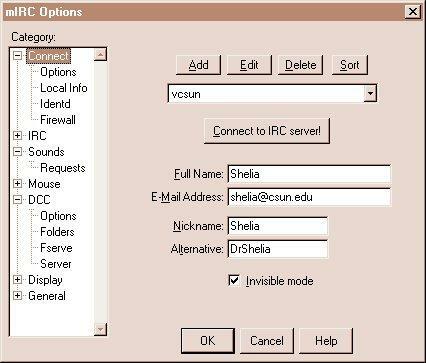 If you are always going to connect to the same server every time you log on to mIRC, check the Connect on startup box after you select vcsun. If you want the last server you logged on to at the top of the server list, check Move server to top of list on connect. The last part, Reconnect on disconnect, is used to tell mIRC what to do if you are disconnected from the server. It is best to leave this section blank and reconnect manually. click on the Add button and the following dialog box will open. Full Name: your real name. E-Mail Address: your real email address is required for mIRC to work properly. Nickname: name that you will be using on mIRC. This should be your real name. It is one to nine characters and there are no spaces. Alternative: second choice for a nickname in case your name is shared by someone else when you log on. It is one to nine characters and there are no spaces. There are no spaces. 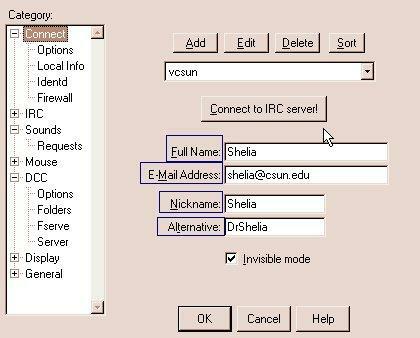 You are now ready to connect to either CSUN server and begin your mIRC session. Click on Connect. To confirm that you have configured mIRC as directed, exit the program. You can exit either by clicking on the mIRC icon in the left corner or from the File menu. 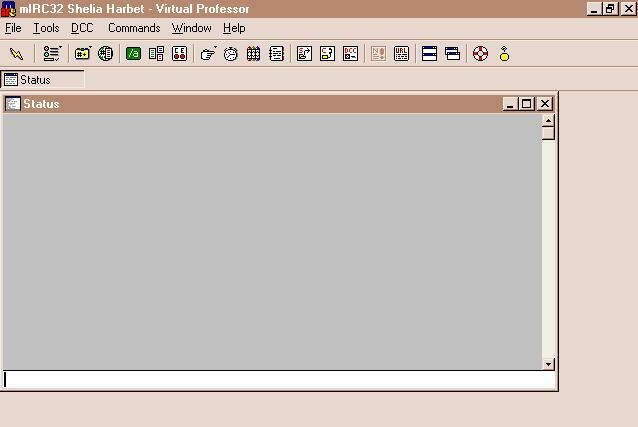 Exit mIRC and then restart into the program. 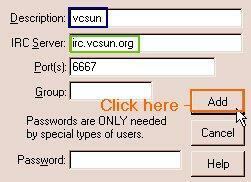 If all goes well, you should now be able to connect to either the vcsun or csun server. Once connected, you can set your channel options and logging.